Enjoy all the durable, breathable, and versatile benefits of the popular Woolies line in a pleasing striped package. 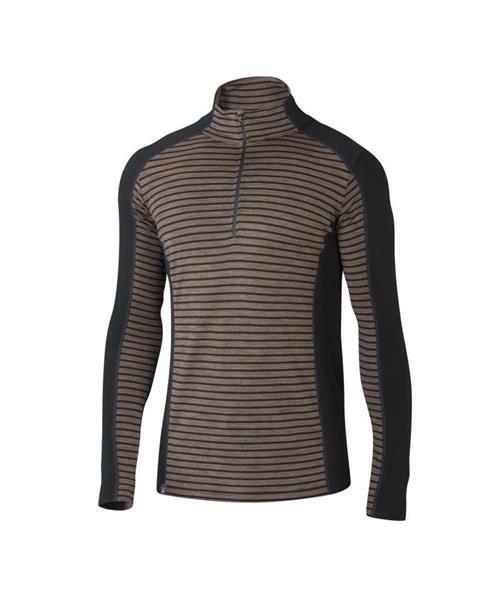 Made of 100% soft Merino wool that manages moisture in a variety of conditions (and situations). Contrasting colors add a bit of flair for apres beers or evening yoga, which is helpful if you’re looking to get noticed.